Värdex Suisse which is a Cryptocurrency ATM operator has announced its intention to support Bitcoin Cash via its devices, according to a recent report. The exchange which provides access to virtual currencies through its Teller machines, partnerships, and POS services is financially regulated and has retailers both in Switzerland and overseas. 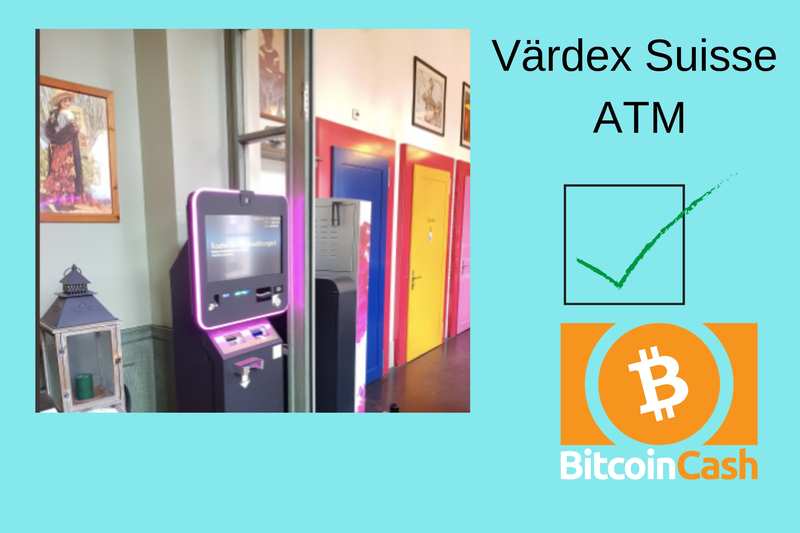 Värdex Suisse tweeted that Bitcoin cash (BCH) is now available on all its ATMs. According to the company which claims that it maintains the largest Crypto ATM network in the Alpine nation’s website, it currently has ATMs in 26 major Swiss cities like Basel, Lucern, Zurich, Been, Lausanne, and Lucern. Presently, devices created by the company only support the purchase and sale of three leading virtual currencies, namely: ethereum (ETH), litecoin (LTC), and bitcoin core (BTC). Värdex Suisse AG which used to be known as Bitcoin Suisse AG is an independent entity which has been in operation since 2017. It has been able to meet up with the high demand for the kind of services which it provides. It is a member of the Financial Services Standards Association (VQF) and also a part of the Crypto Valley Zug Community. The company’s goal is to make buying and selling of digital currencies as easy as a regular visit to the bank ATM and it is practicing this by forming partnerships with different companies. A recent example of this is the announcement of a crypto exchange service offered by Liechtenstein’s post office with the assistance of the Swiss company. Due to the business-friendly conditions and regulations put in place in Switzerland, crypto-related services has increased over time. These businesses include payment and Teller services which provide secure access to digital coins and has increased the mainstream adoption of cryptocurrencies.